White Collar Crime in Georgia--A Blog By The Goolsby Law Firm, LLC. (706) 863-5281: A PROFILE OF RICHARD H. GOOLSBY, SR. The Goolsby Law Firm, LLC. is a father and son general law practice, conveniently located at 4416 Columbia Road, Ste. 100, in Martinez, Georgia, just outside Augusta, Georgia. Richard H. Goolsby, Sr., son and grandson of Southern Baptist preachers, has been an attorney and member of the Georgia State Bar for over 30 years. 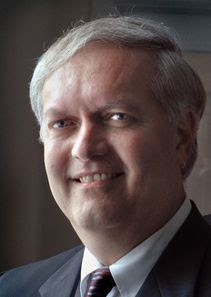 He is a 1978 graduate of the University of Georgia School of Law. He is also an experienced former prosecutor, including 6 years as a state prosecutor and over 20 years as a federal prosecutor in Augusta, Georgia. Before going into private practice in 2007, as an Assistant U.S. Attorney, Richard Goolsby, Sr. was the lead prosecutor in some of the largest, most complex federal criminal cases ever prosecuted in the history of the State of Georgia. These cases include the successful recent public corruption prosecution of State Senator Charles Walker, along with his prosecution of the Healthmaster Medicare fraud case, the largest home health care prosecution in U. S. history. In each of these complex white collar crime cases, Goolsby handled over a million pages of documentary exhibits. In addition, Goolsby successfully prosecuted the largest vote-buying case in U.S. history, (Dodge County, Georgia: 28 defendants tried and convicted). While an Assistant U.S. Attorney for over 20 years, Richard Goolsby, Sr. also won 3 prestigious Department of Justice awards for his significant federal prosecutions, along with the 2007 Common Cause of Georgia Democracy Award. In sum, Richard Goolsby, Sr. is one of the most experienced former federal prosecutors and criminal defense lawyers throughout the State of Georgia who now handles criminal law defense in both state and federal courts in a wide range of criminal cases, from complex fraud cases, tax evasion cases, and other white collar crimes to drug and firearms cases. Along with his son, Richard Goolsby, Jr., (a 2006 graduate of Mercer Law School and a "rising star of the Augusta bar"), Richard Goolsby, Sr. and The Goolsby Law Firm, LLC also handle all types of family law matters, including Georgia divorce, adoption, child custody, and child support cases, along with personal injury, wrongful death, and medical malpractice cases, and other general litigation. The Goolsby Law Firm, LLC., which offers FREE INITIAL CONSULTATIONS, (706) 863-5281, includes two Augusta, Georgia lawyers, father and son, who focus on providing experienced, personal service for all their clients’ legal needs. If you need an attorney in the Augusta, Georgia area, or anywhere in Georgia, then please call our law firm now, at (706) 863-5281, for a FREE INITIAL CONSULTATION, directly with an attorney, and let our family of Augusta lawyers help you and your family!